BodyTalk acknowledges that within each of us is an innate wisdom that knows how to heal the body-mind complex. Everyone has experienced the body's own healing power...when you get a cut, scrape, or burn, your body forms a scab, then a scar may soon cover the wound. All this happens without much conscious effort from us; the body repairs its self, much like the heart continues to beat and the lungs continue to breathe without any help from our conscious mind. The term 'innate intelligence' refers to the inner consciousness in the body, the force that keeps your body healthy and harmonious. Some people tap into this intelligence more than others, they have a tendency to heal faster, trust their intuition more, and have an intuitive understanding of what is best for their body. BodyTalk repairs you from the INSIDE OUT! Modern research has shown us that the bodymind is a holistic, interrelated system that involves hundreds of physical and bio-energetic systems that interact continuously to sustain life. 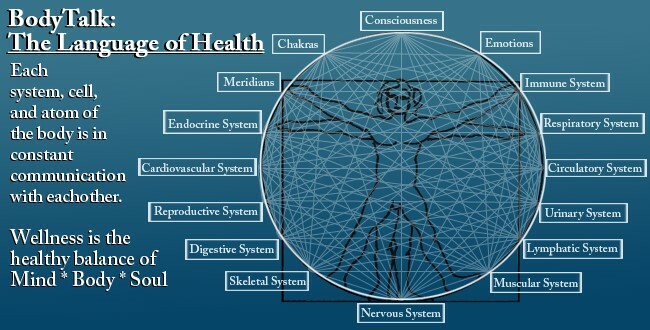 Balanced communications between these systems are fundamental to good health. The inter-relationships between the components of the body at the physical, emotional and mental level create a complex symphony of relationships. If the communication systems and energy linkages necessary for the bodymind to function at it's best are compromised, the lack of communication stops each body part 'talking' to the other body parts, there is no synchronicity in their functions and poor health or symptoms of disease result. The innate intelligence only fails in maintaining balance because its communication systems have been severely compromised through the stresses of life. One of the core philosophies of the BodyTalk System is that all disease found in the body is reflected in the brain at some level. As an example, if there is a neurological connection in the brain that is disconnected, then there will be a corresponding reflection in the bodymind complex in the form of a physical, mental, bio-chemical or other malfunction. One of the main goals of BodyTalk is to balance communication between the two halves of the brain, as well as within all levels of brain function. Improving this communication can quickly and easily address many common issues, as well as improve brain function and memory. The BodyTalk Cortices Technique is one of the most powerful techniques within the system. wisdom to reconnect pathways that have broken down. Your BodyTalk session is safe and comfortable, and you remain fully clothed. You will lie on a massage table in a relaxed position with a pillow under your head and another pillow under your knees. The BodyTalk System gives the practitioner protocols to be able to assess all the systems of the body for dysfunction. The practitioner can consult your 'innate intelligence' via muscle testing to discover where these dysfunctions lie. As every individual is so unique only their innate intelligence knows what is to be balanced and in what order, we ask each individual body what needs balancing, so you get the treatment you need. Once the problem is located light tapping on the head and then on the heart allows the body to communicate its needs to the brain. 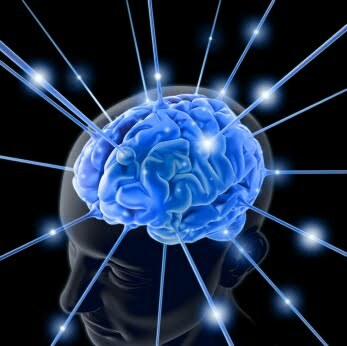 If the brain doesn't know what is wrong it can’t activate the healing process. It has been shown when a patient is linked up to an EEG when this treatment occurs, the parts of the brain associated with the problem areas go through a massive amount of brain wave activity. Tapping on the chest invites the heart to store the changes. The heart is the master organ of the body, and as such, will make the changes lasting and permanent. Your heart will store (you “know it by heart”) the “new, improved” patterns in the body's cellular memory, so the cells can replicate with the newly corrected code instead of the old damaged patterns, thereby continuing the healing process long after the session is over. Since your body is storing corrections, every formula is building on the one before. Each session is building on the one before. This is the process of building health. Your body will work on the most important things first. Sometimes the hidden, inner things need healing BEFORE what you consider your main complaint. If you are alert, you will notice feeling better overall – maybe you don’t over-react to stress as much, maybe you feel more refreshed in the morning on waking, maybe you just feel freer on a subtle yet significant plane. Clinical results have shown that once the communication systems have been re-established and the bodymind synchronized, the body is capable of improving its function at a deep and lasting level. As the BodyTalk practitioner is really teaching the body to return itself to “normal”, this means that the healing process becomes automatic for the client. Fewer treatments are required when working with this type of balancing. While BodyTalk is not a substitute for conventional medical care, almost every condition has been found to respond positively to BodyTalk because it furthers your body’s natural healing efforts. So even if BodyTalk is not being used as the primary mode of healing, it will help you heal faster.